Wood octagon nunchaku with 1 inch nylon cord attachment. Nylon cord is secured with pins for a smooth handle surface. Smaller diameter than our regular octagon corded nunchaku. 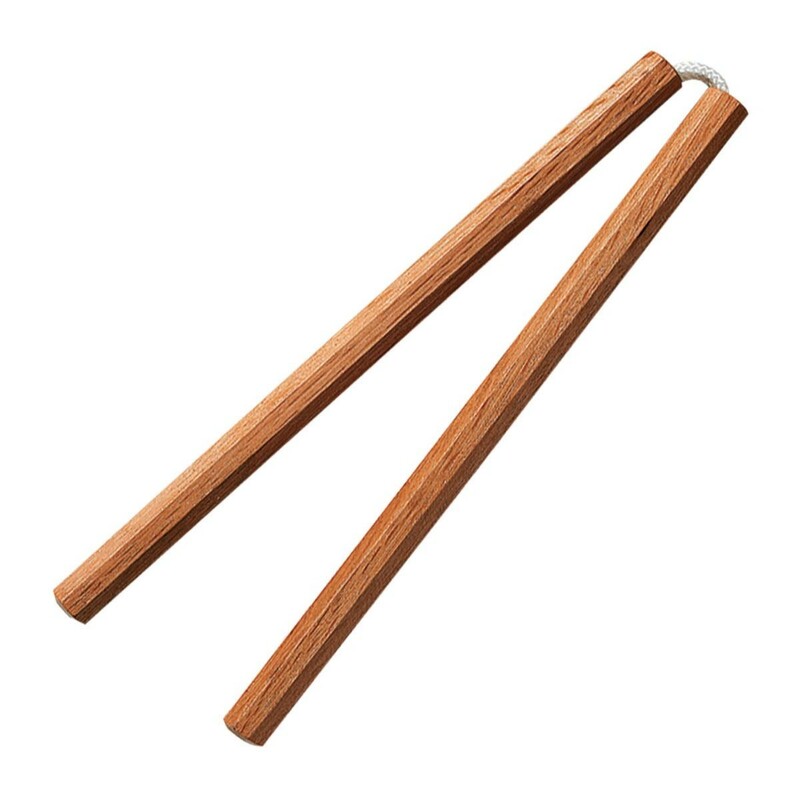 Light and easy to grab, these nunchaku are great for demonstrations or for beginners learning how to handle wood nunchaku.